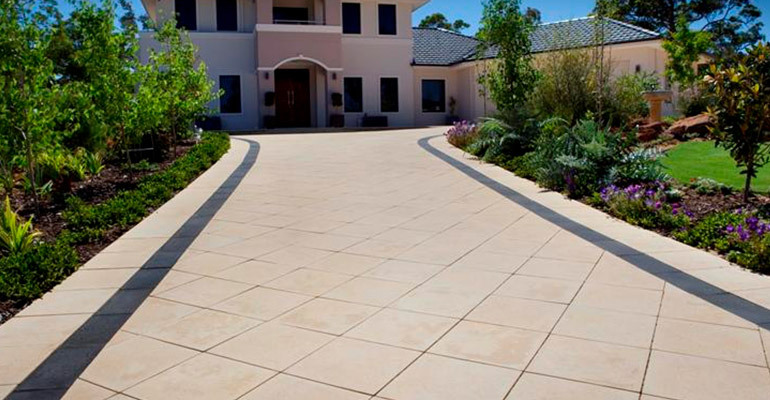 Unquestionably, sandstone is the most preferred natural stone for paving applications all across the globe. Sedimentary in origin, sandstone exists in numerous shades and color palettes that are simply treat to eyes. Though sandstone paving is fairly used for interior decoration and architectural designing, its outdoor applications are way more when compared to the interior ones. 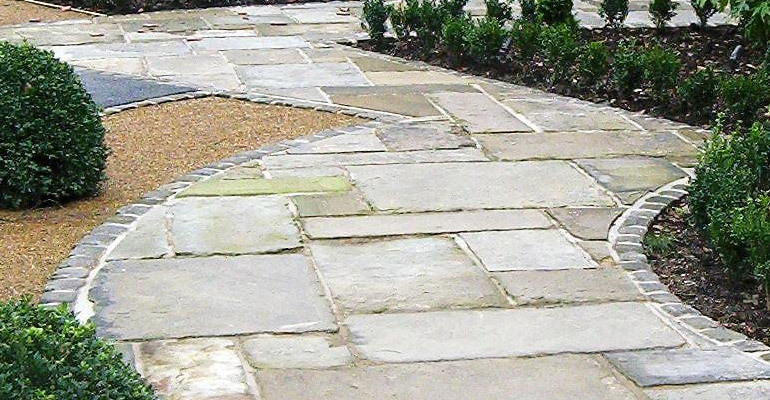 Owing to its quality and availability in charming shades, Indian sandstone paving is admired globally and for this reason, it is in great demand all over the world. To cater to this demand and that too in bulk quantities, numerous sandstone manufacturers and exporters from India supplies high-quality sandstone products in different parts of the world at extremely competitive prices. Sandstone bears several properties that make it a suitable material for outdoor applications, especially paving. It is fire resistant and has a natural anti-skid surface. Thus, prevents falls and accidents during wet weather conditions. Moreover, sandstone is durable, resistant to harsh weather conditions and enhances its appearance with the natural process of weathering. These factors further confirm that sandstone is a pretty long-lasting stone and unlike other natural stones, is not going to get dull with continuous or rigorous usage even decades after its installation. Flooring: Spaces in and around the property, such as barbeque areas, balconies, patios and garden paths can be seen having sandstone paving. The tough nature of sandstone helps it to withstand heavy foot traffic. Also, it can hold barbeques as well as heavy stone statutes without any susceptibility to damage. Driveways: In residential settings, driveways are usually constructed with sandstone. They are rigid and sturdy and hence, can easily bear the load of standing or slowly moving vehicles. It is recommended to get the sandstone sealed, so as to prevent damages from petrol and oil leakages from vehicles. 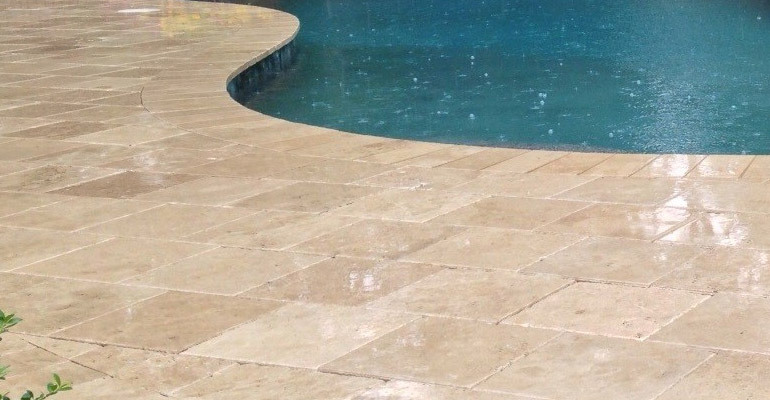 Pool Surrounds: The natural shades of sandstone pavers imparts a captivating look to the pool, when placed around it. Presently, sandstone is mainly used for pool coping, which prevents it from water-related damages. Since saltwater may alter the color, finish or texture; sandstone sealing is recommended for pool surrounds. 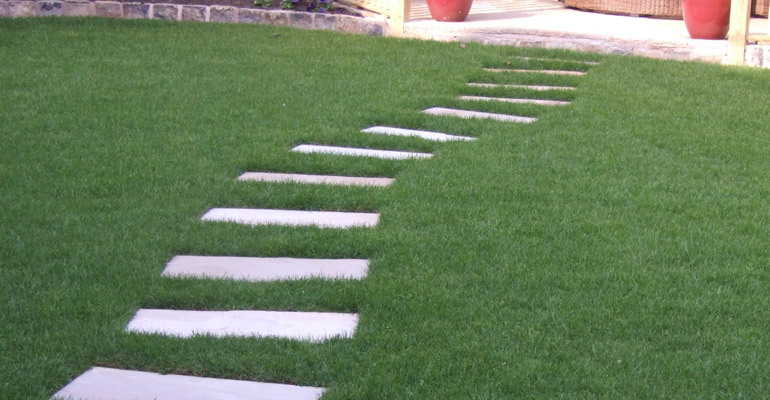 Other Popular Applications: At the entrance of a property or at different locations with a garden, sandstone can be used as stepping stones. It is also used to surround garden beds and to make feature walls and water features. Apart from paving applications, a variety of sandstone articles are extensively used to decorate outdoor spaces like garden, large lawns, backyards and front yards. It is for all these reasons that sandstone is sometimes regarded as one of the most versatile natural stones. Hope, this content will add to your knowledge of paving natural stone applications, especially sandstone. You can have the most functional and various sandstone products available with Regatta Universal Exports. For product information or sales inquiry, you can view our product gallery or can opt for a quick quote by filling the form here.